. How do I find you? Windsor Photo Outfitters is commited to the art and craft of photography. We have been outfitting students for over 14 years! Stop in and see us for trusted and sound advice. We are always here to help you. 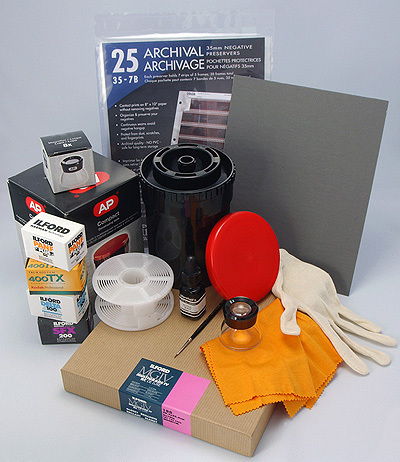 Faculty, Stop in or call us up, we can also fill bulk and large orders for your darkroom. We also offer onsite consulting for darkroom set up, NO CAHRGE! We hope that Faculty and students alike have a great school year. Keep shooting! We have been outfitting students for so long, we already know what your basic needs will be. The image at left shows the typical outfit required by university and College courses for beginning photogaphy classes. You can mouse over it to get a description of each of the items. We also have other darkroom related items in the store both new and used! Stop in and speak to us about your needs, we are here to help you! Doing something out of the ordinary? No Problem, We will do our best to help you achieve your creative goals. Stop in and see us! We can help. 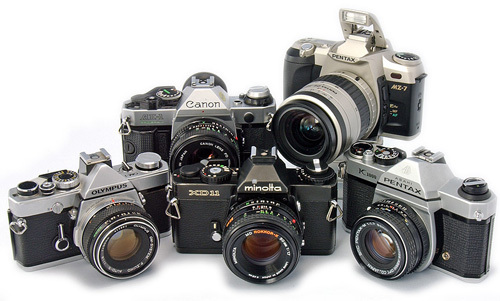 We sell only clean and completely refurbished 35mm SLR camerras with full control over shutter and aperture. Perfect for the budding photographer. All our cameras include a 60 day guarantee. Don't trust the Pawn shop cameras. Ours are tested and refurbished, and ready to use. Windsor Photo Outfitters offers the widest selelction of instock Black and white film anywhere. We carry multiple formats, 35mm 120, 4x5 and larger upon request. We always offer students a 10 for 9 deal that works out to a 10% discount on Film. Let us know we can special order most any kind of currently available film in for you. 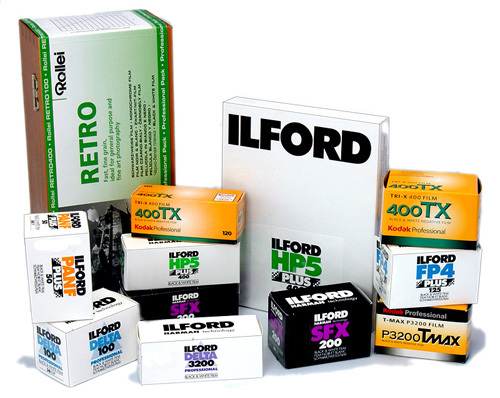 We stock films in ISO ratings from 50 to 3200! There is always a good slelection here. All our film is cold stored and fresh dated. We offer a very wide selelction of black and white photo papers in stock! From 5x7 to 16x20 in store all the time. This hoto represents only a very small sample of what we carry. We have a variety of styles and finishes in varying quantities and sizes. 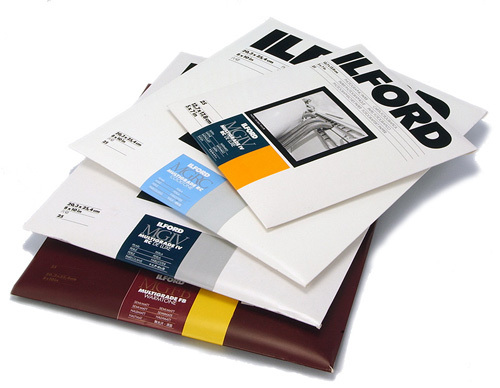 We stock photo papers from two makers, Ilford and Kentmere. These papers are available in both resin coat, and fibre base foundations, in a variety of finishes sizes and quantities. We offer the biggest selelction of darkroom chemistry and supplies in the region. Not pictured here are the various powdered chemistries we also offer, from Farmers reducer to D76 and Sepia toner, check us out! 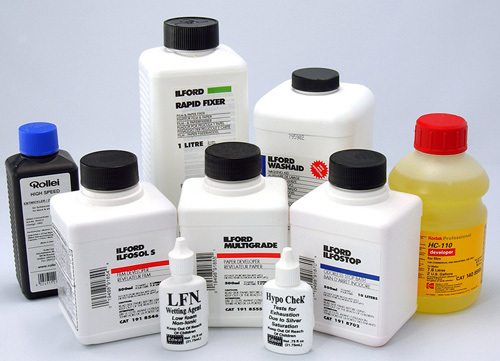 We also offer bulk and large order quantities to outfit your schools darkroom. Stop by call or email for more info.